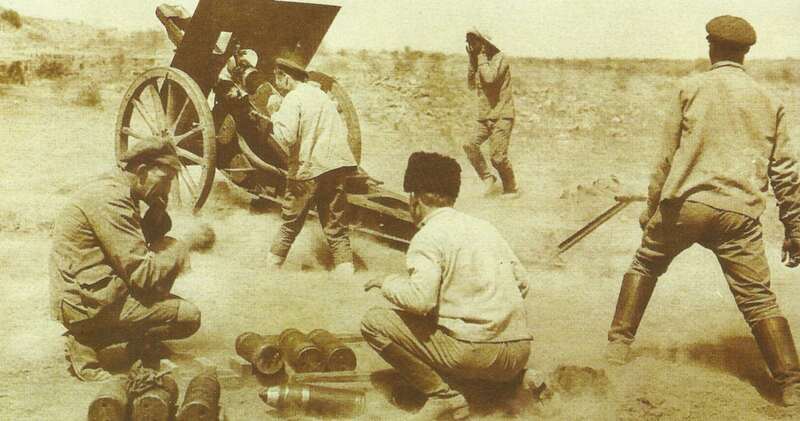 A Russian army 107-mm Field Gun Model 1910 in action with Armenian gunners in Middle East. Persia: Russian general Baratov reoccupies Hamadan, Kangavar and Sehna (March 5). Germany: Zimmermann tells press his telegram is true. France: 1918 recruits called up.